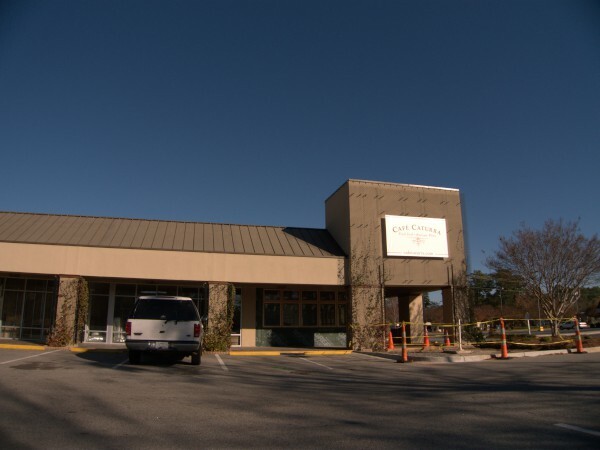 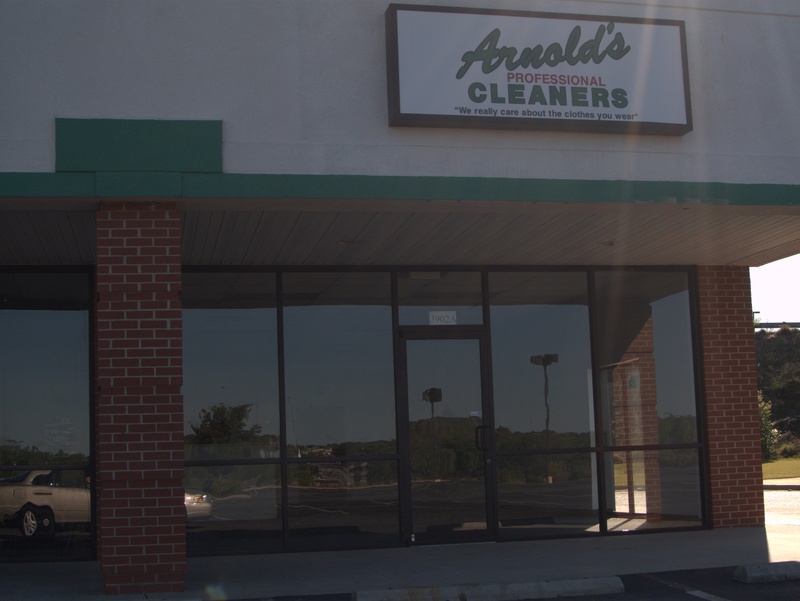 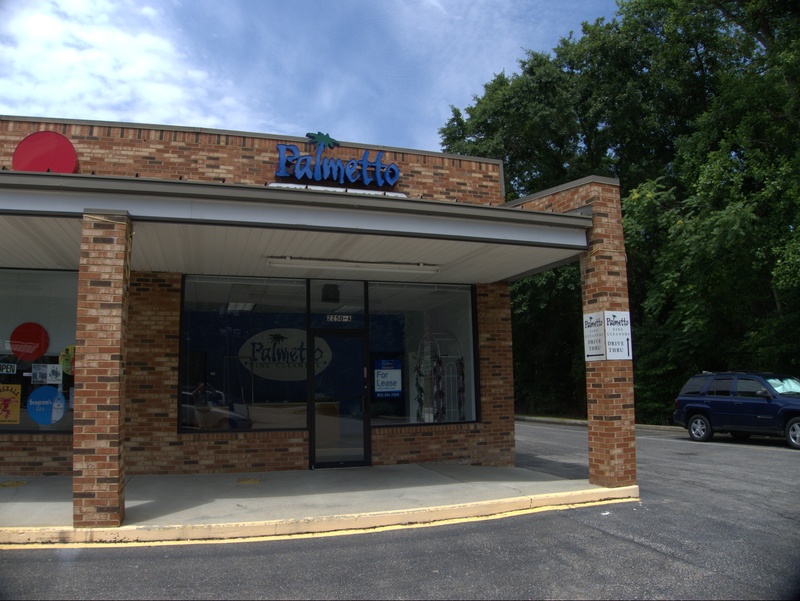 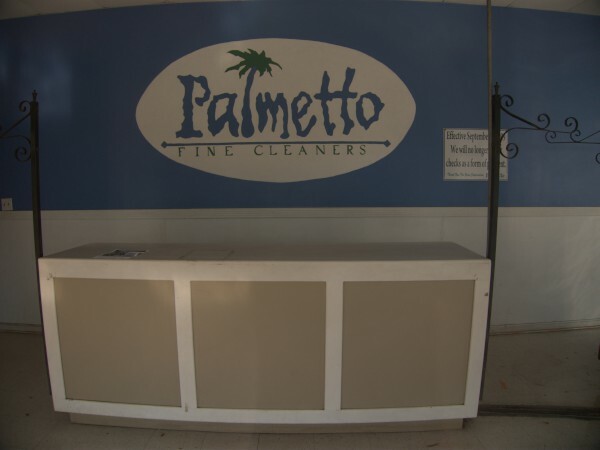 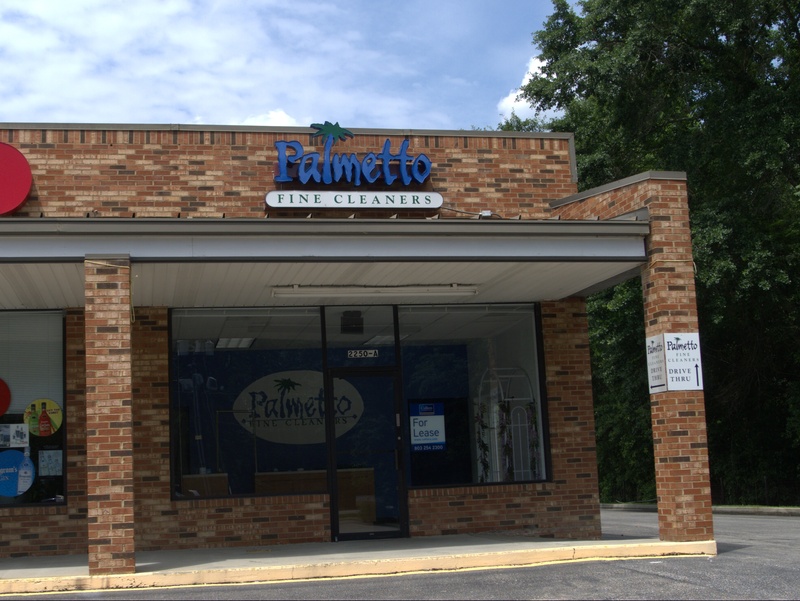 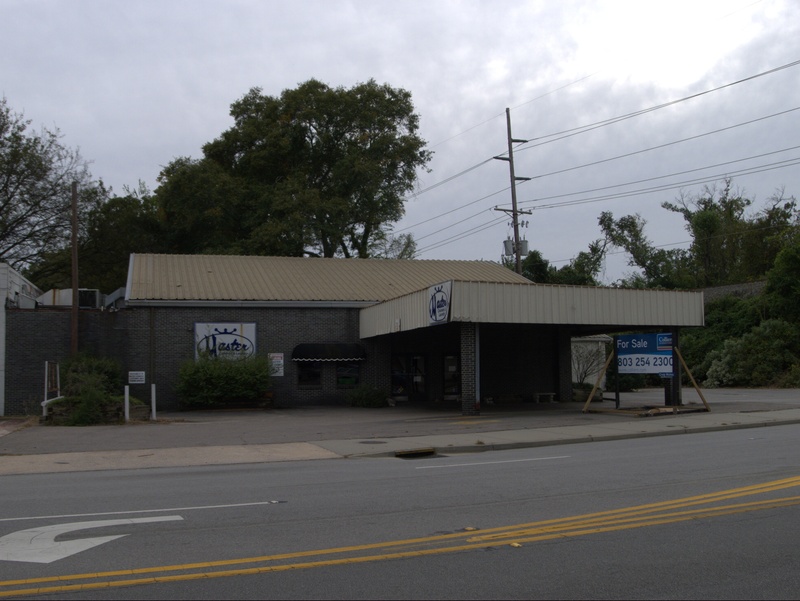 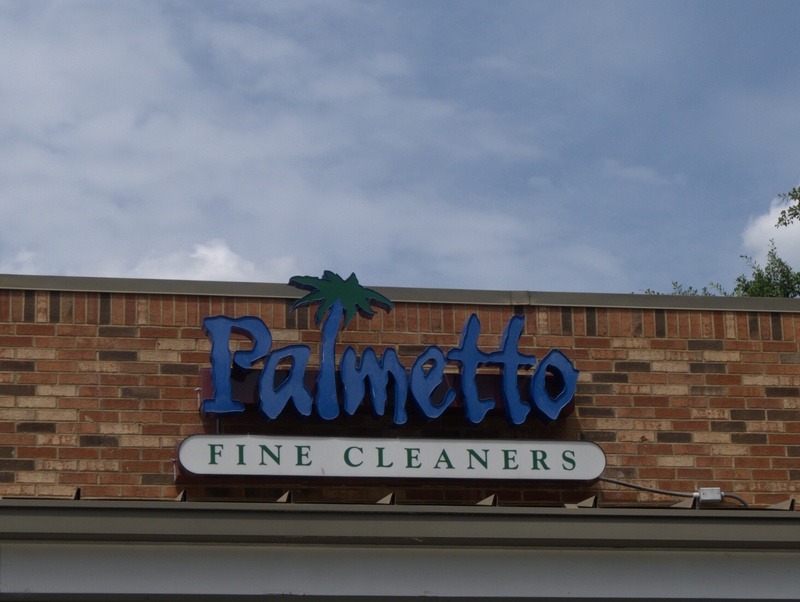 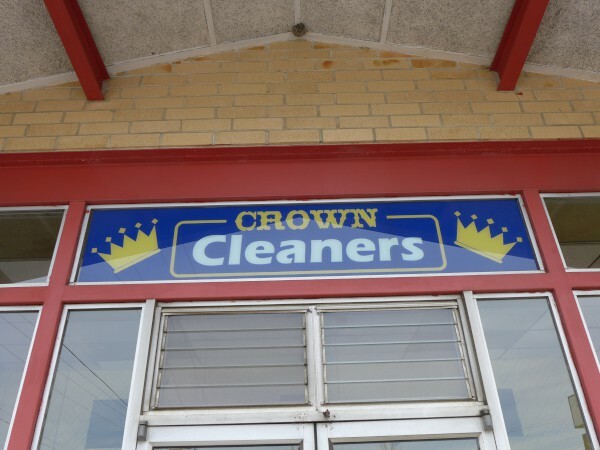 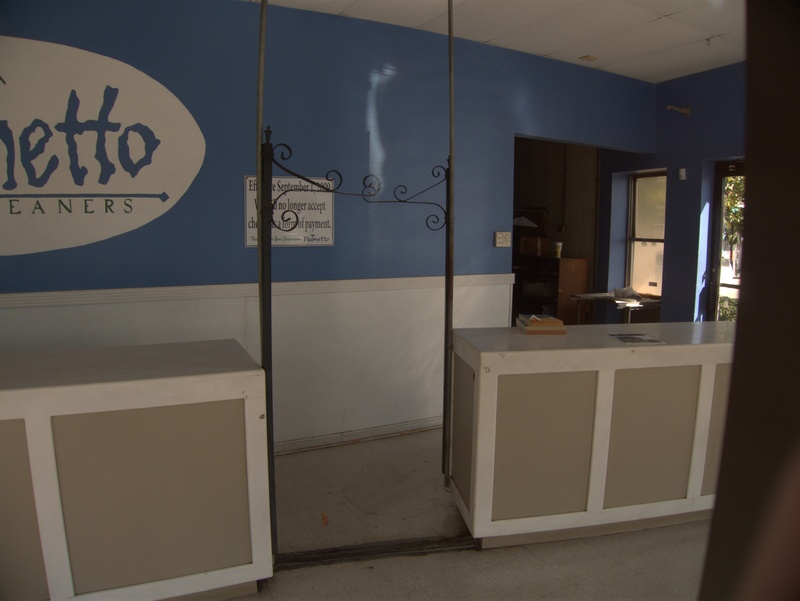 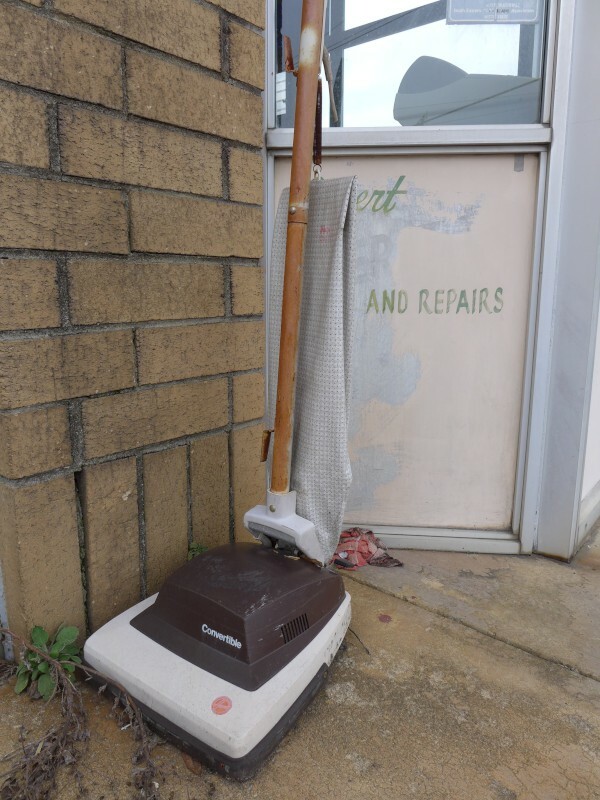 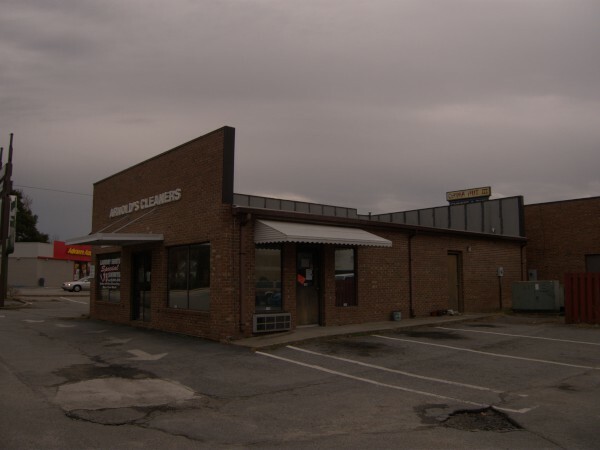 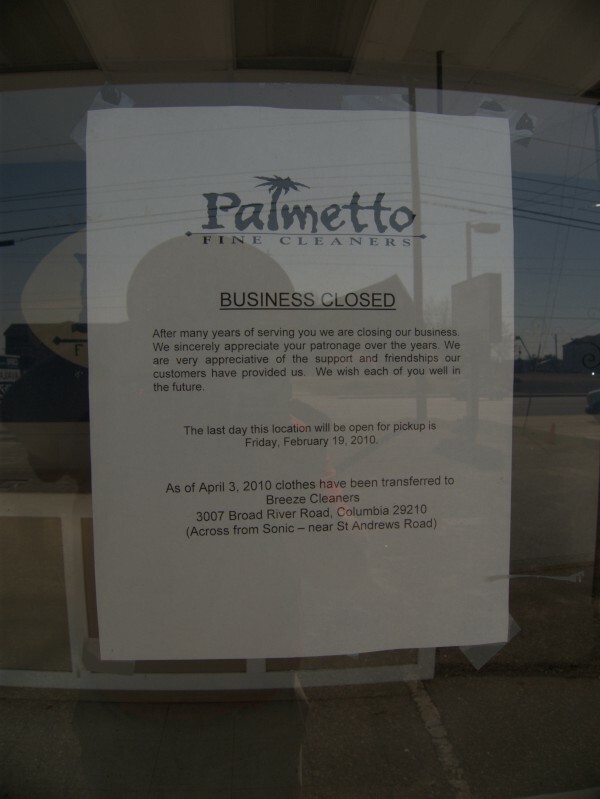 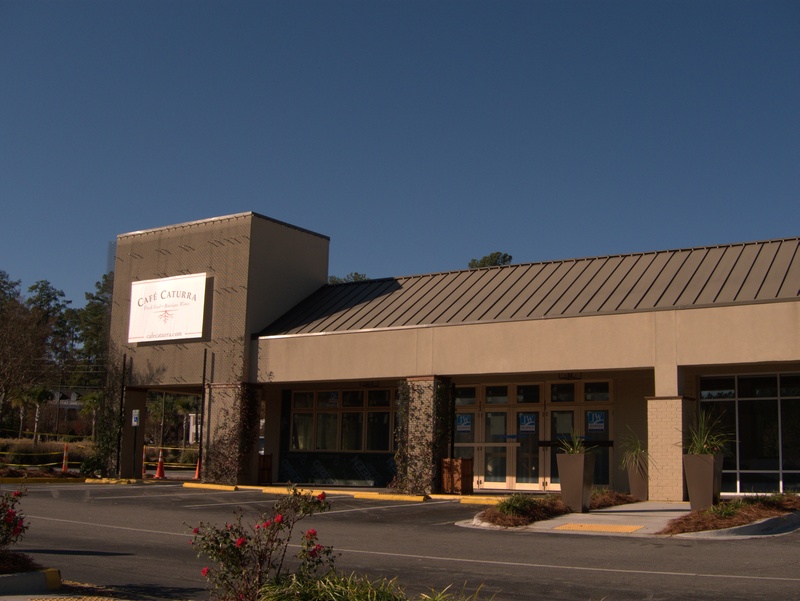 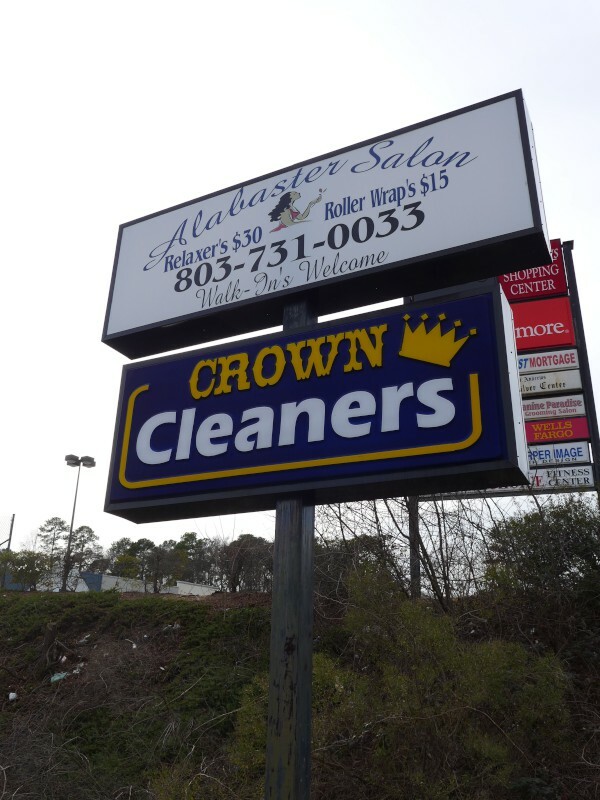 As of the February 2010 phonebook, Palmetto Fine Cleaners had four locations listed while in the 2011 phonebook there were none. 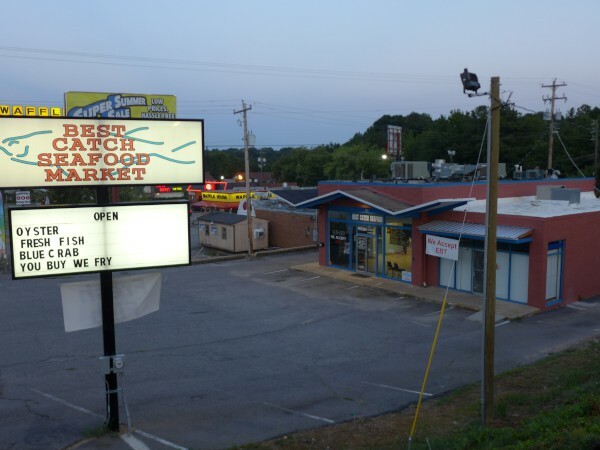 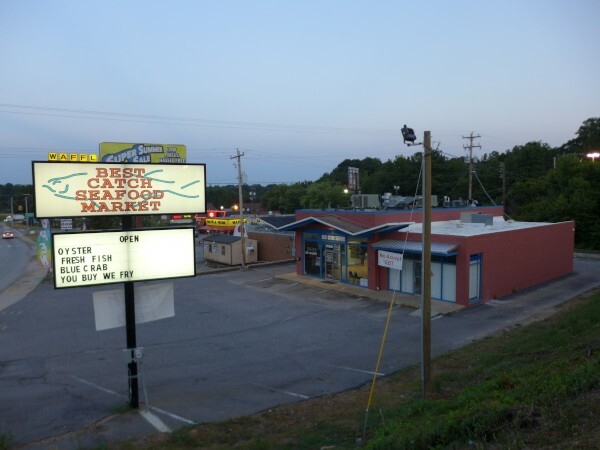 I've done one of the Broad River Road locations, but this one caught my eye last week while I was heading to lunch at Grecian Gardens (and to take some pictures of the Sunset Boulevard Fred's location). 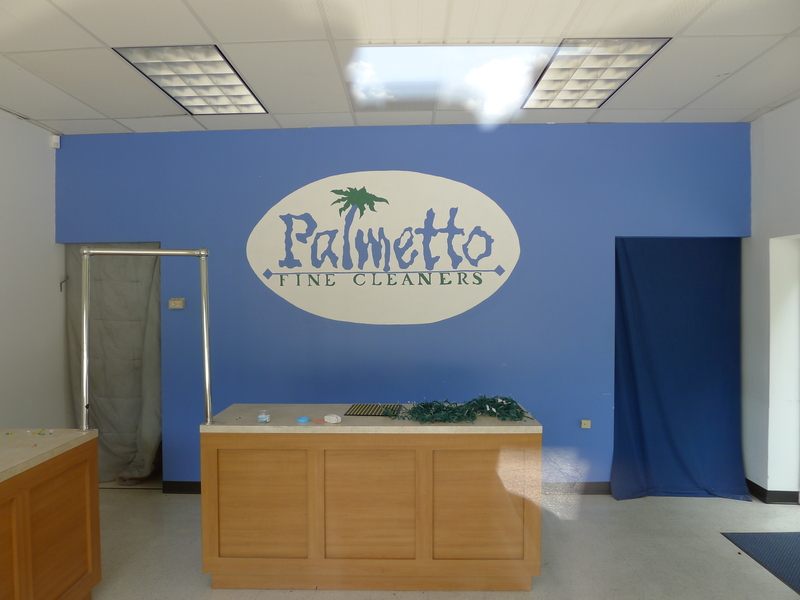 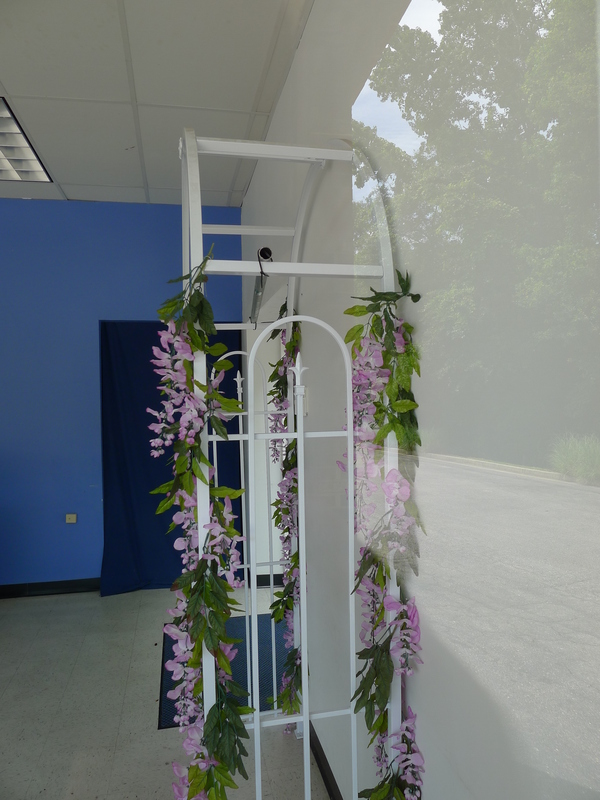 I have to say it's an attractive little shop -- I like the Palmetto logo, both on the marquee and the back wall, and the little flower archway is a nice touch (though I'm not sure how it fit in originally). 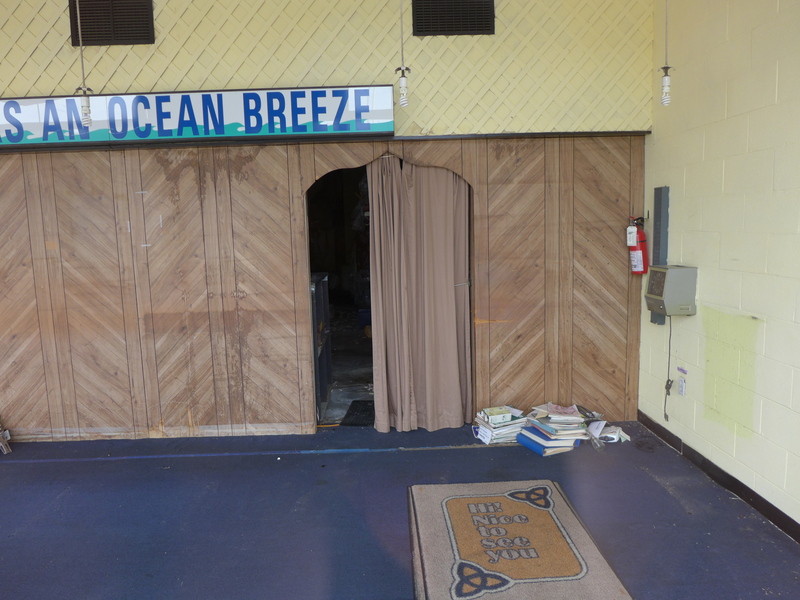 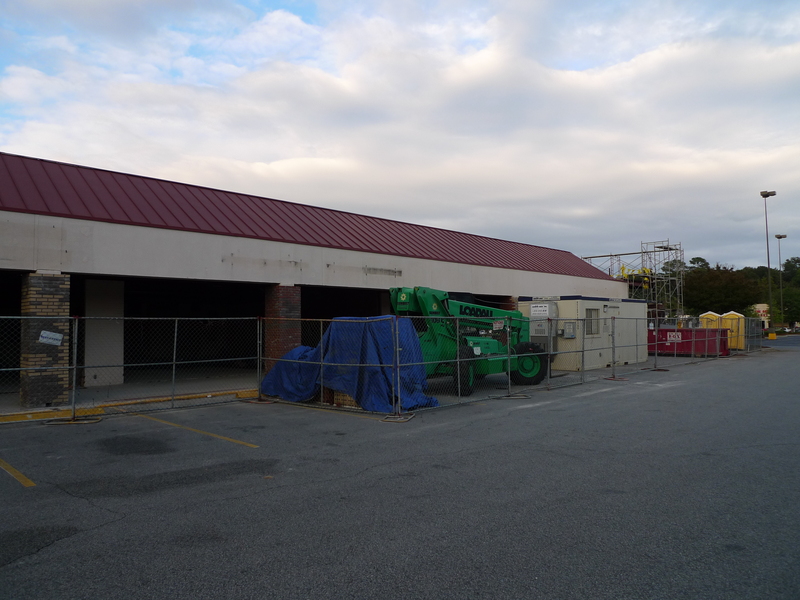 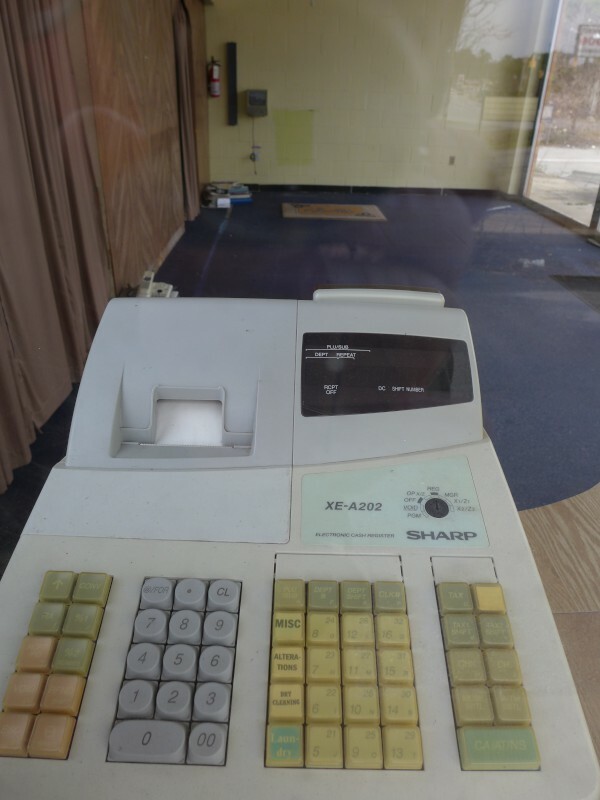 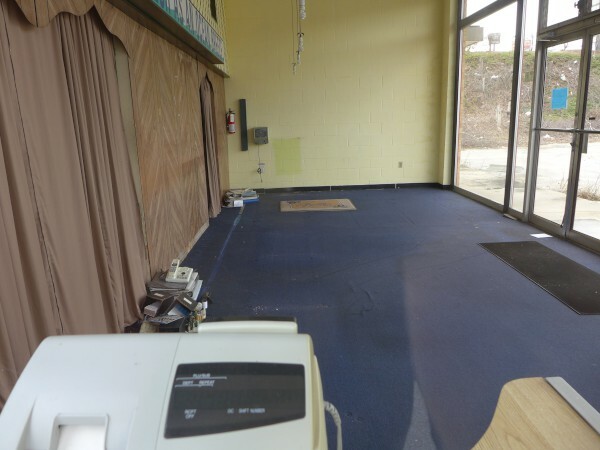 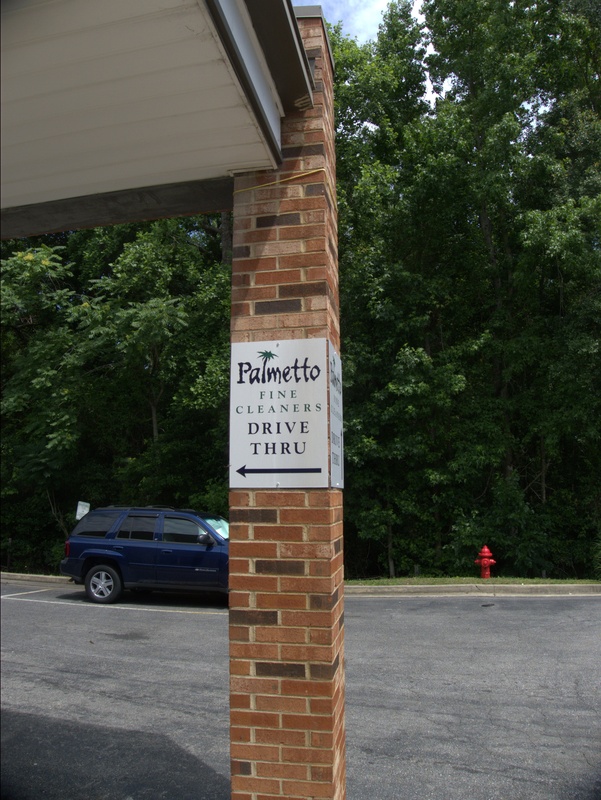 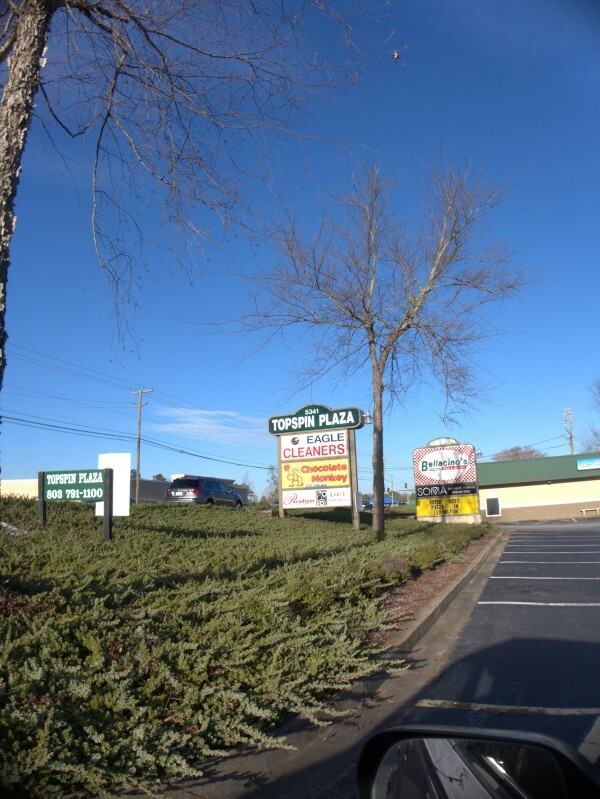 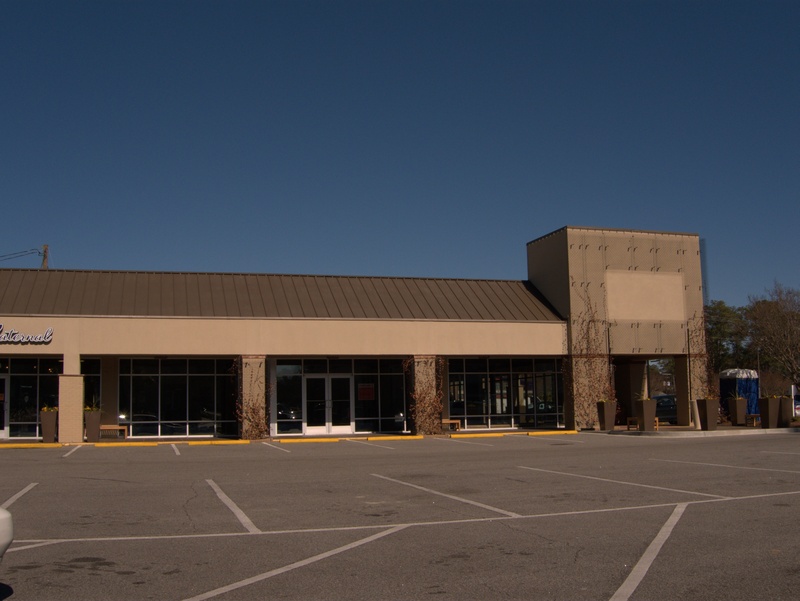 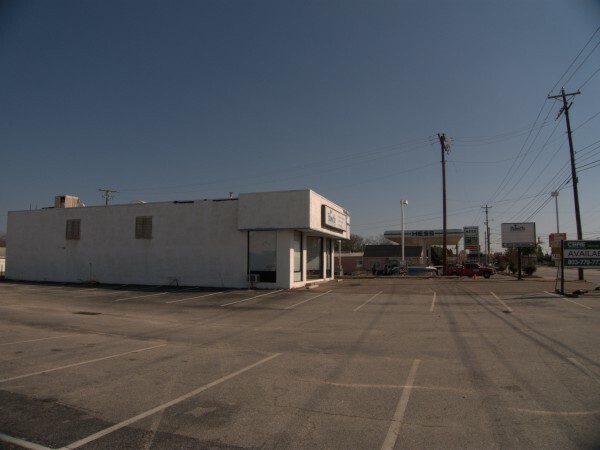 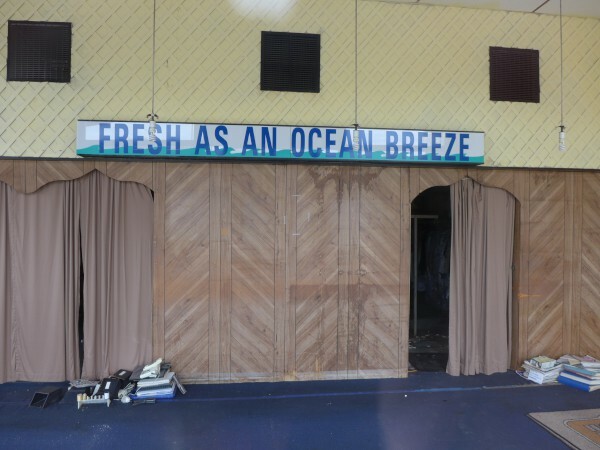 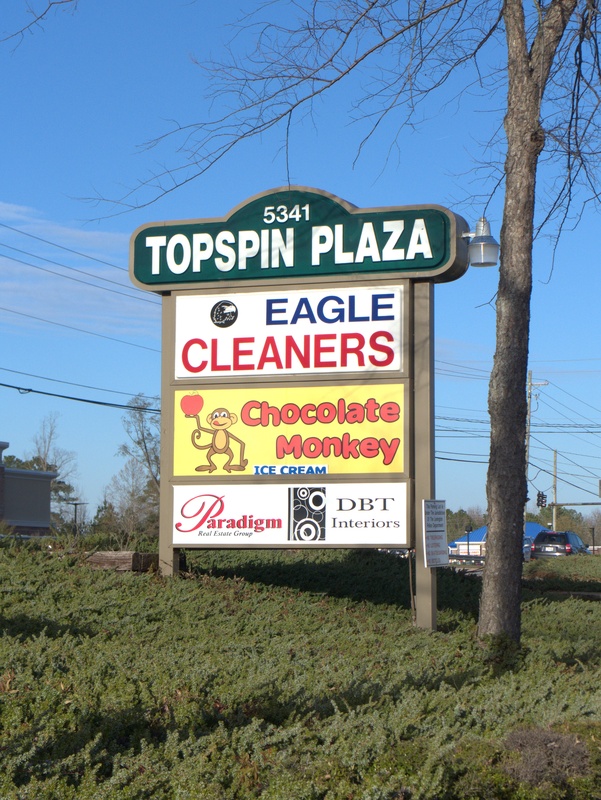 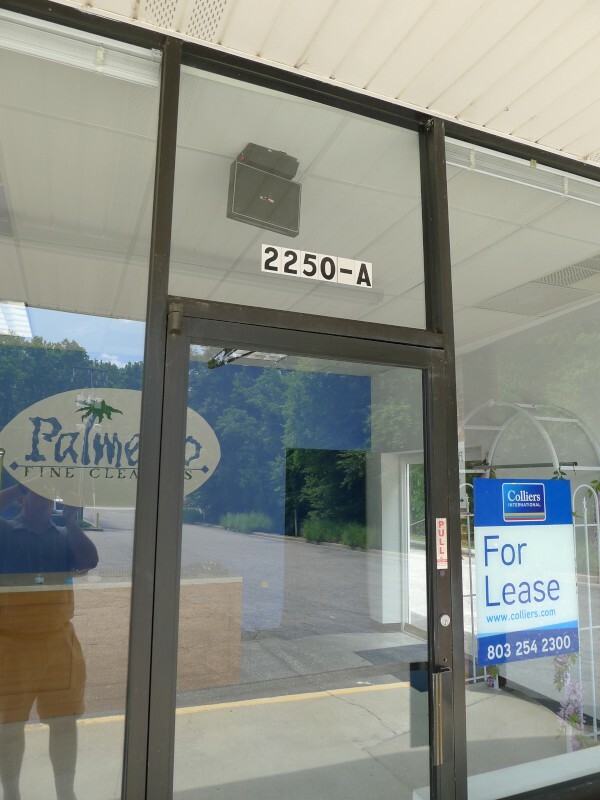 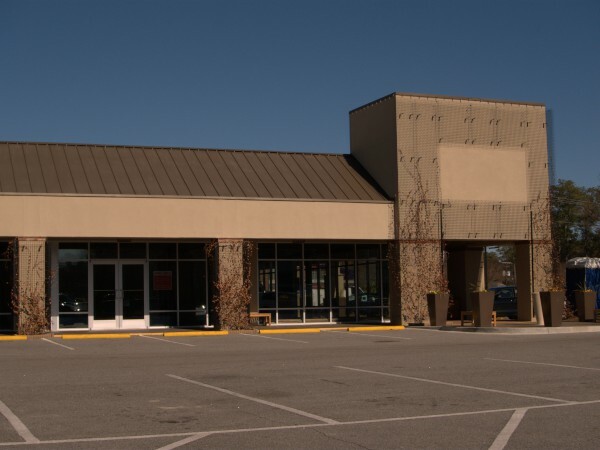 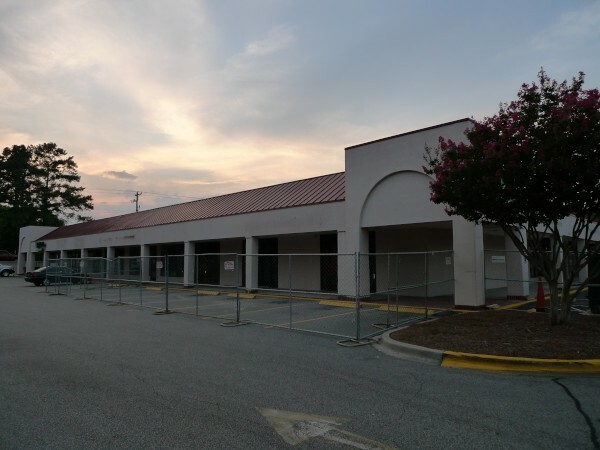 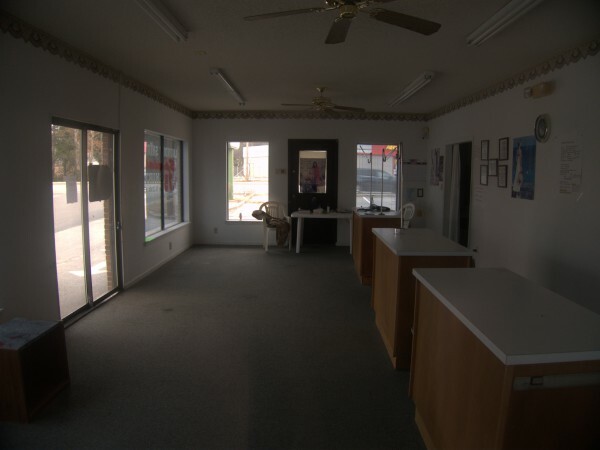 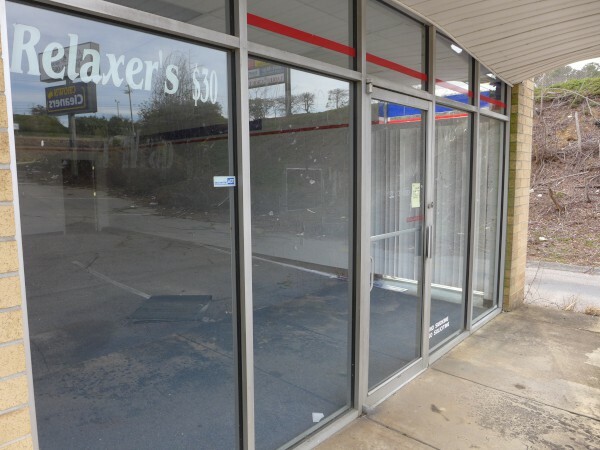 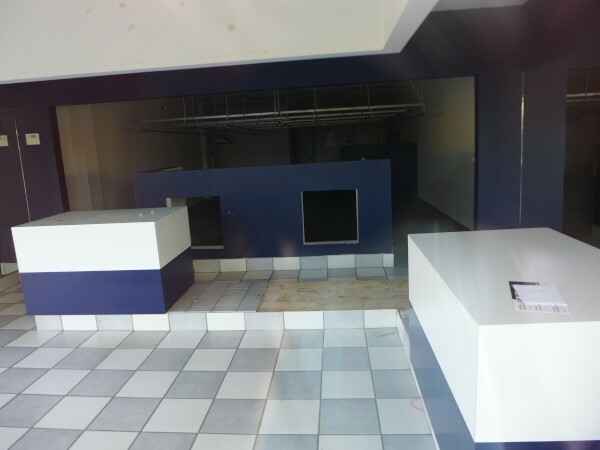 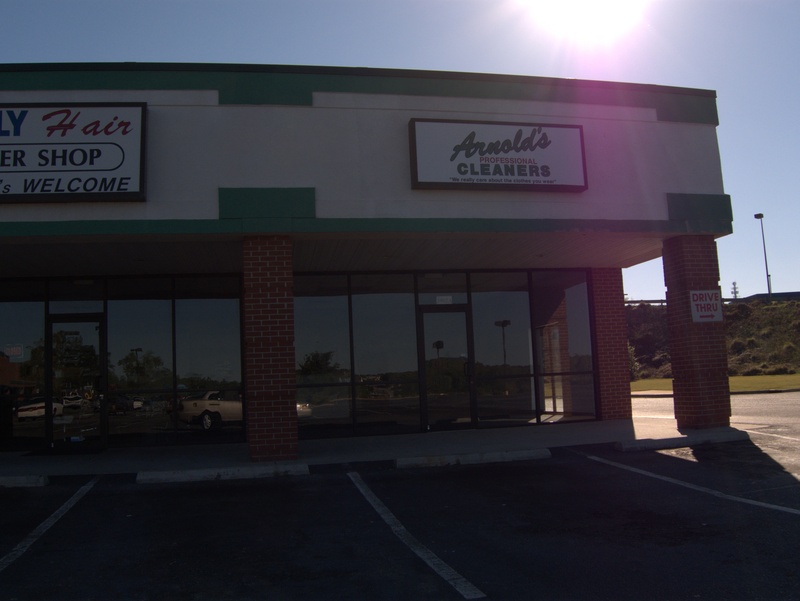 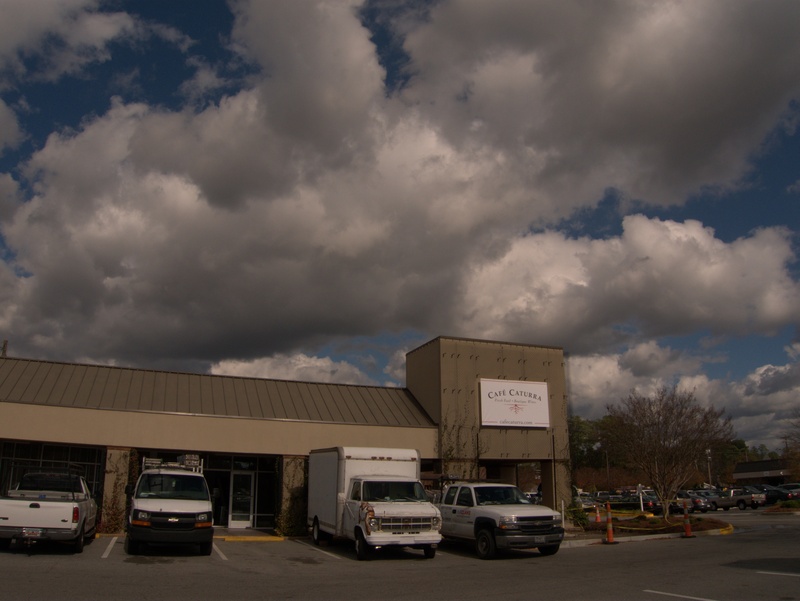 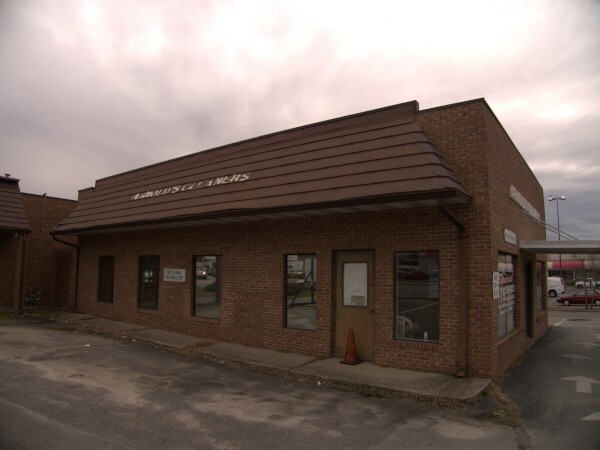 I'll also note that when I did the closing on Burnette's Cleaners at the other end of this plaza (but with the same 2250 address) I said in error that Palmetto had been in its spot. 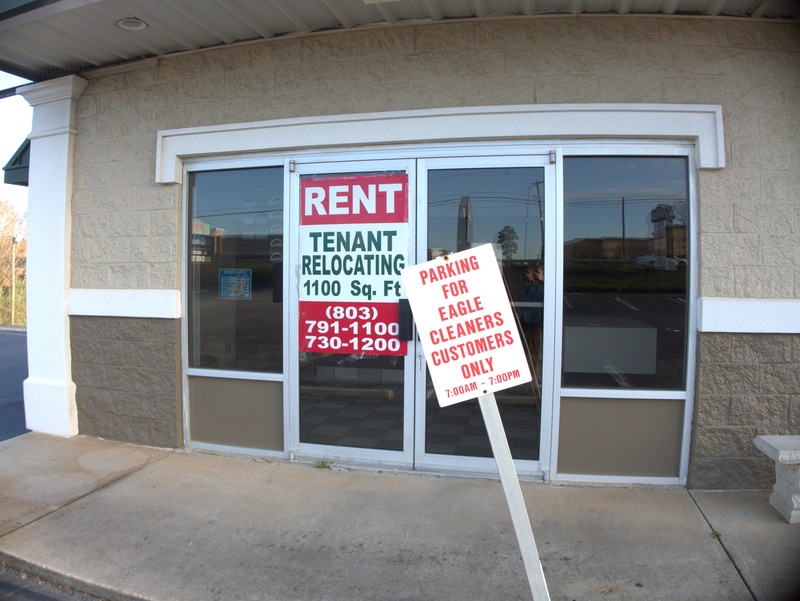 That's what relying on googling a street address (and not driving the full length of a strip mall) will get you. 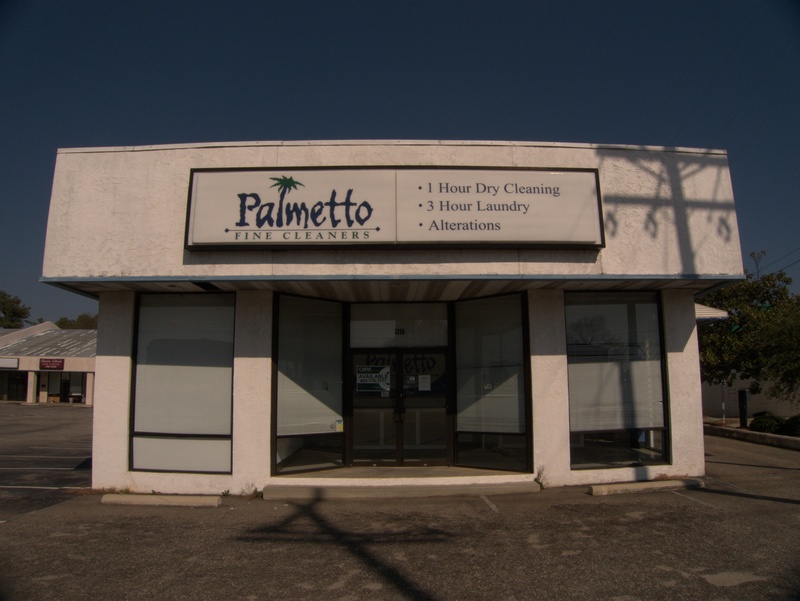 Palmetto Fine Cleaners was on the East side of Broad River Road, more or less across from Dutch Square and Boozer Shopping Center (though not exactly across from either). 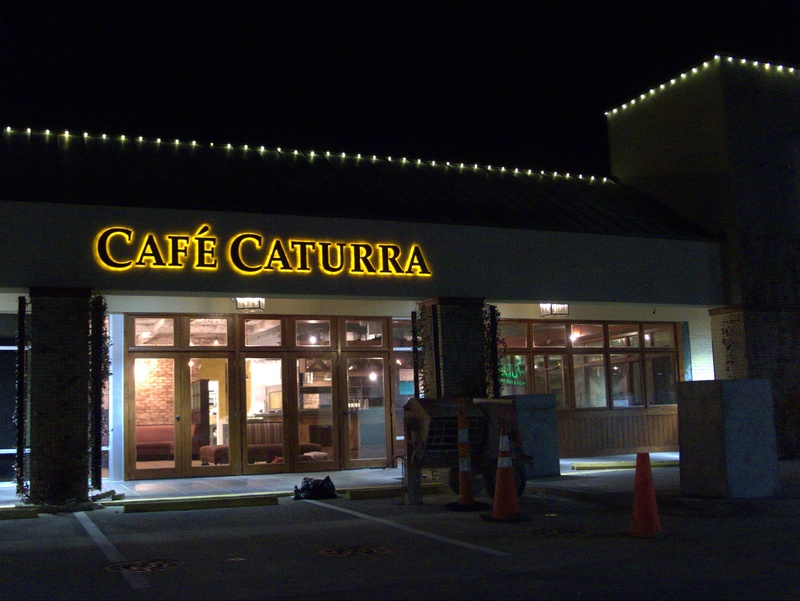 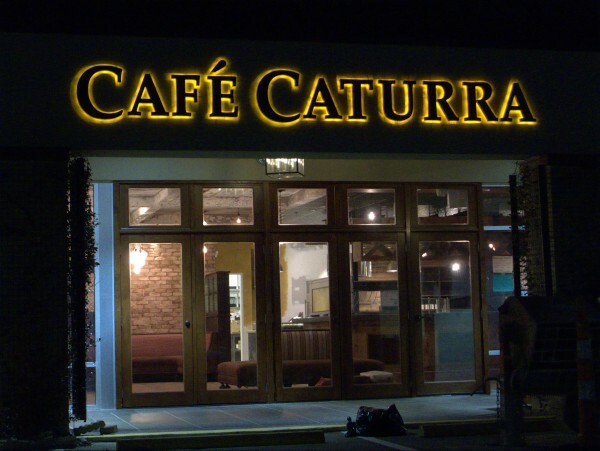 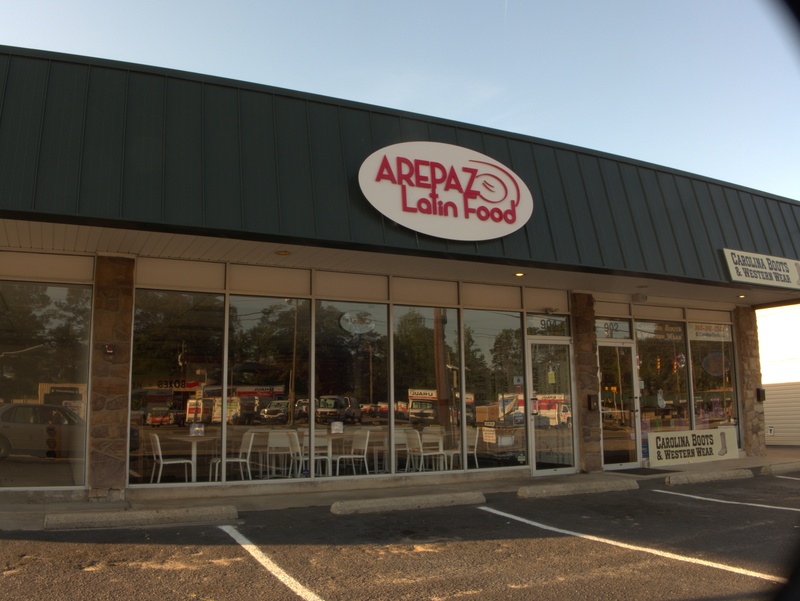 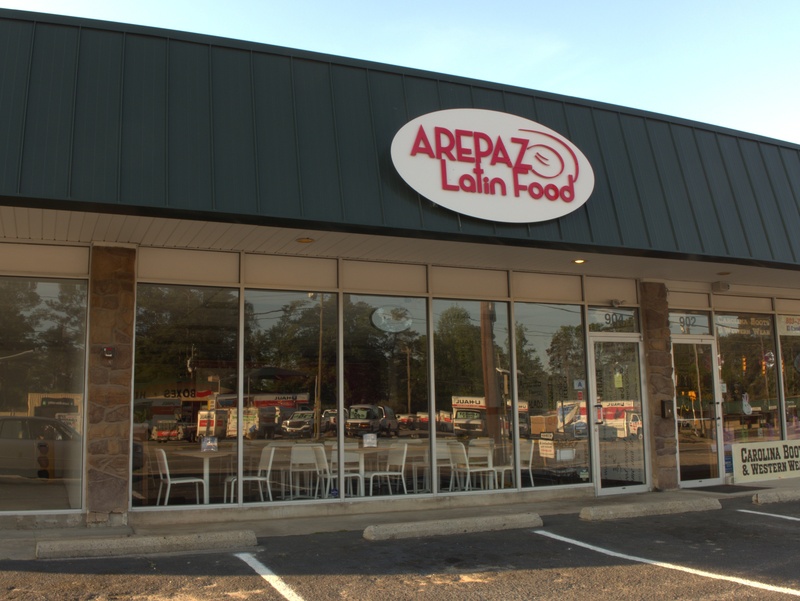 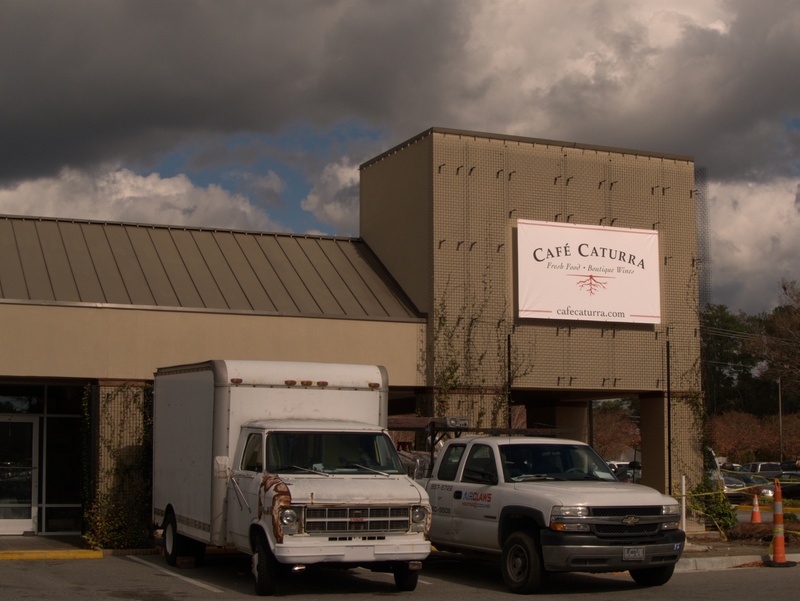 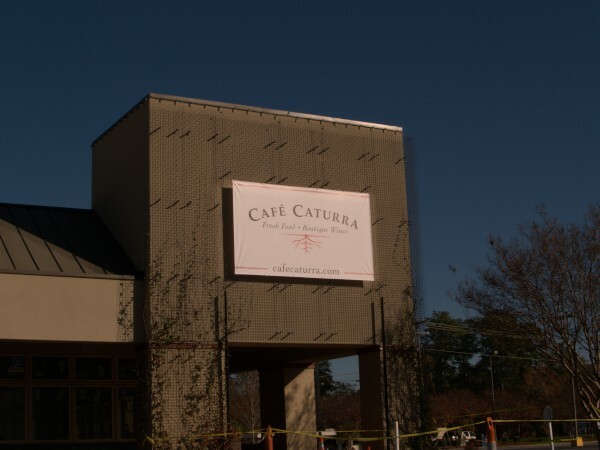 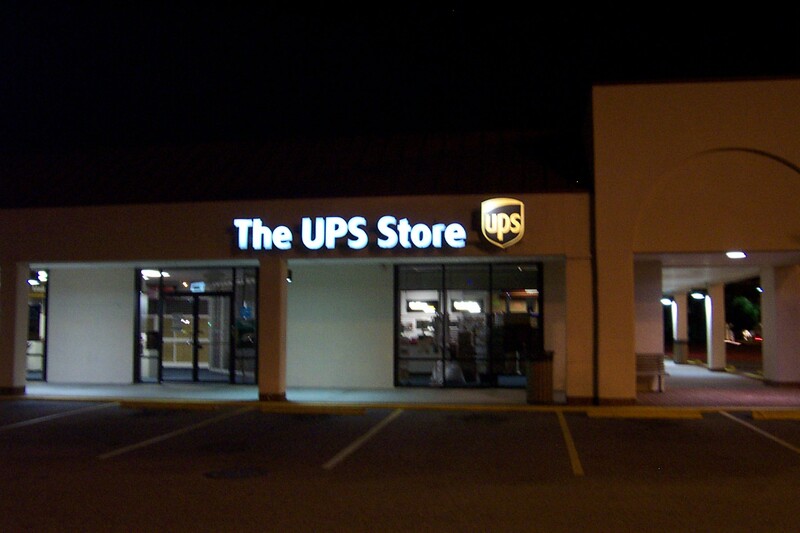 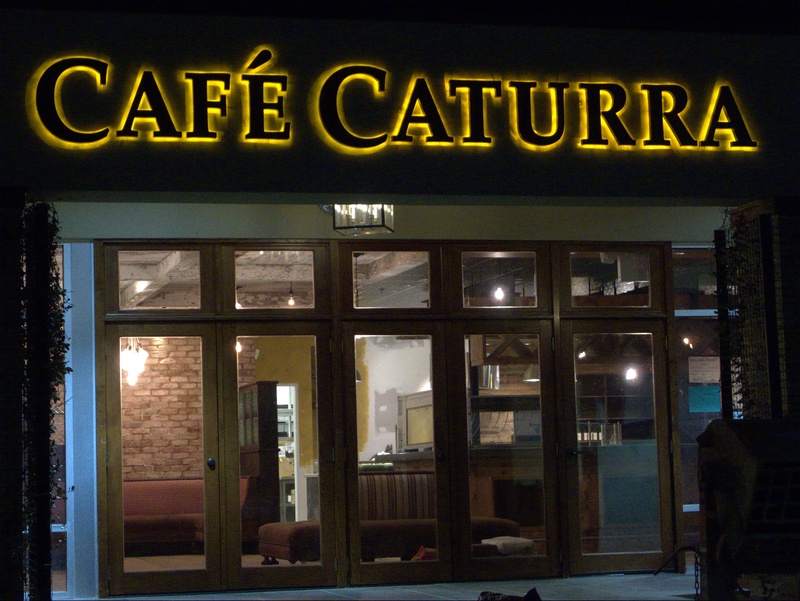 It's the outbuilding of a little strip mall there, and has a really nice logo, and interesting facade. 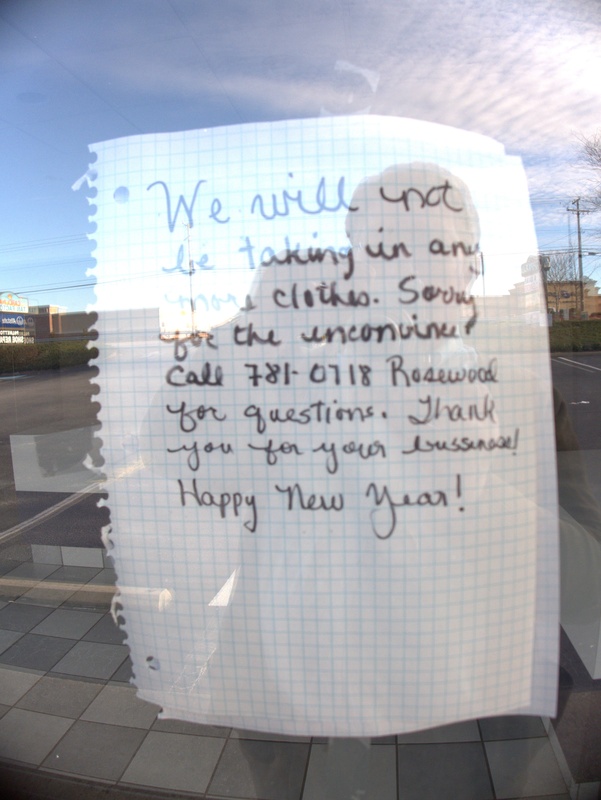 It appears to have been an orderly closing, with stored clothes passed on to another cleaner. They also had a location on Sunset Boulevard. 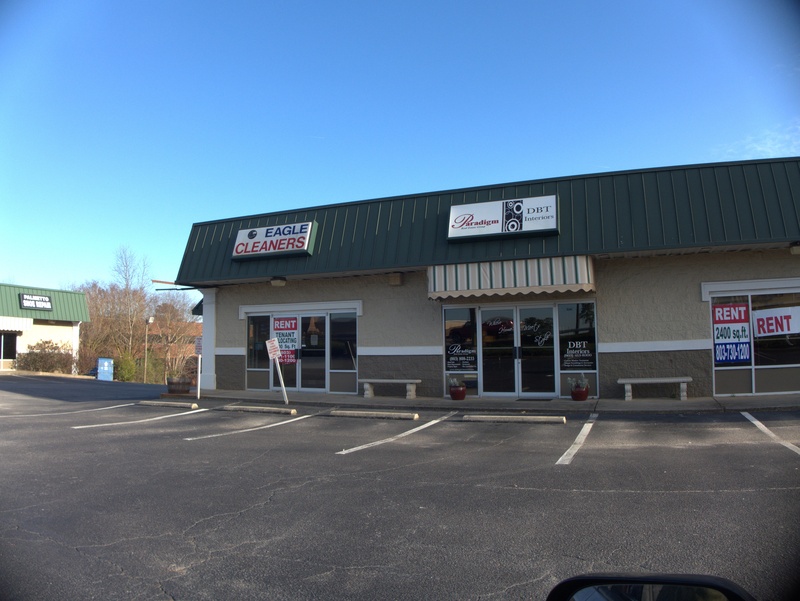 I'm not sure if Video Solutions & Satellite Connection were two different businesses or two "DBA"-es for the same company. 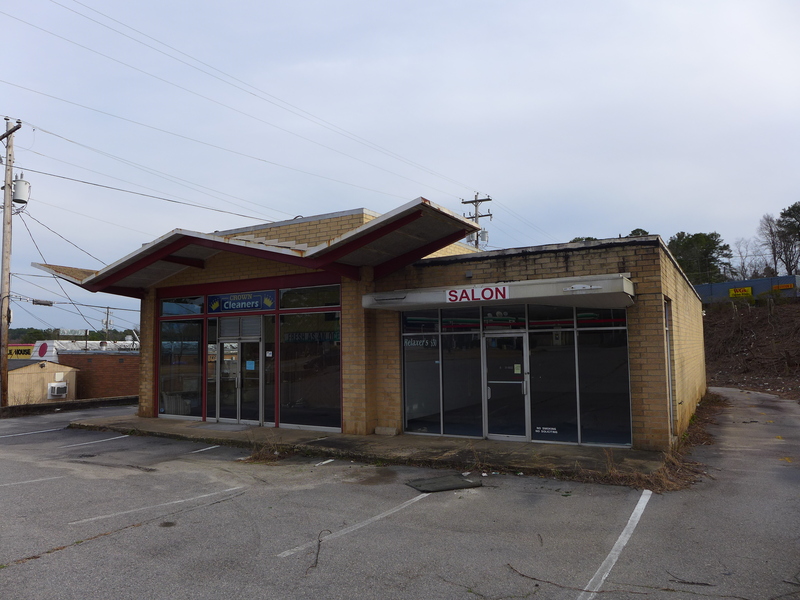 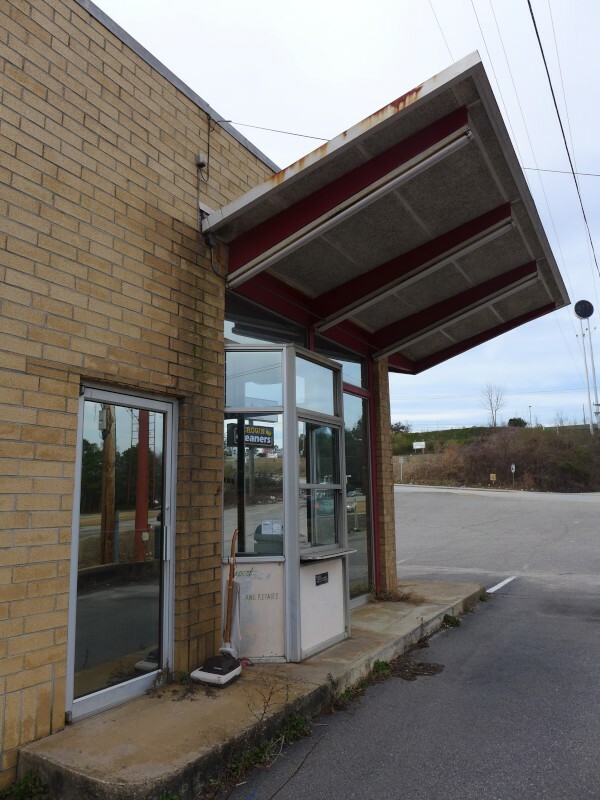 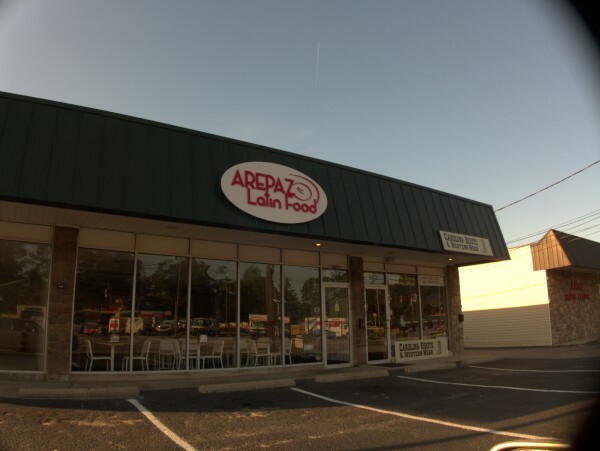 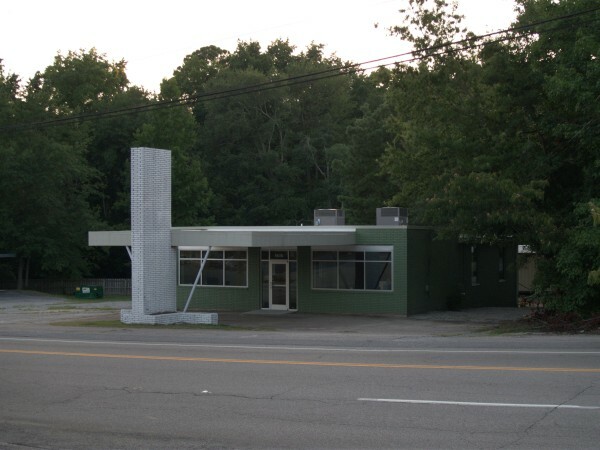 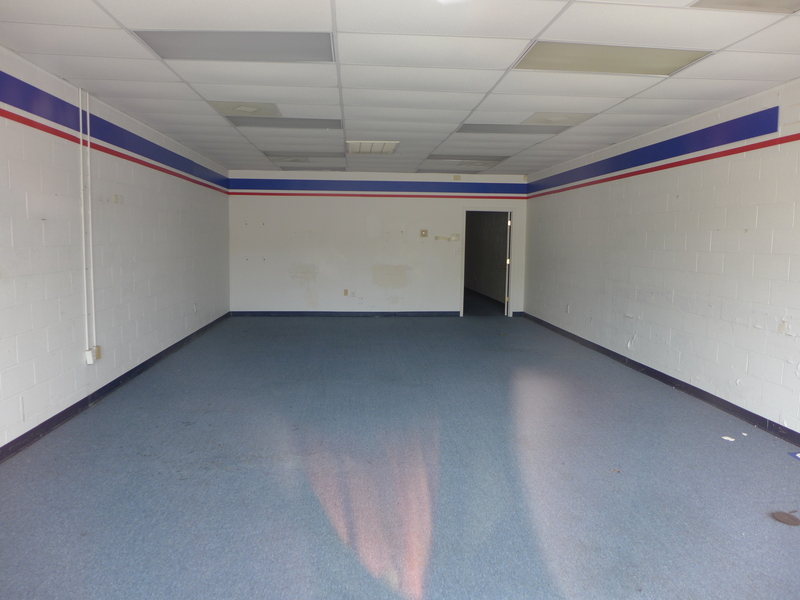 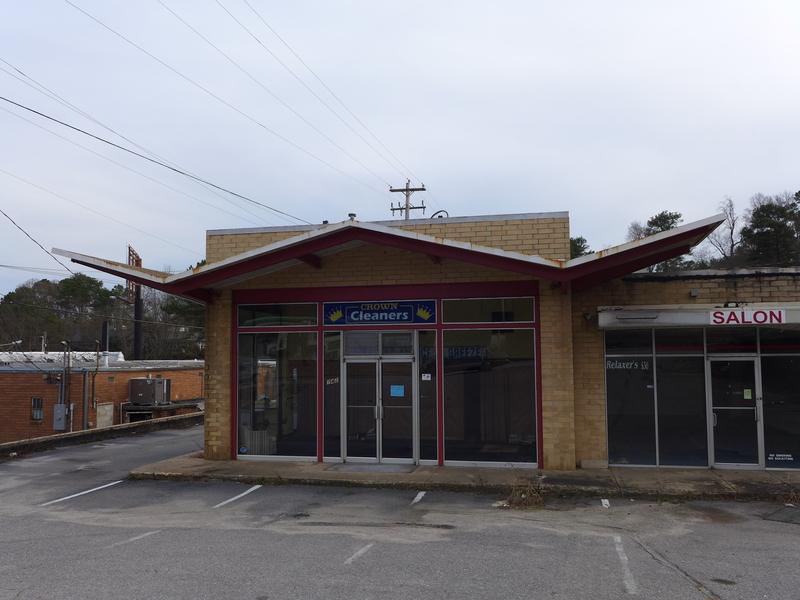 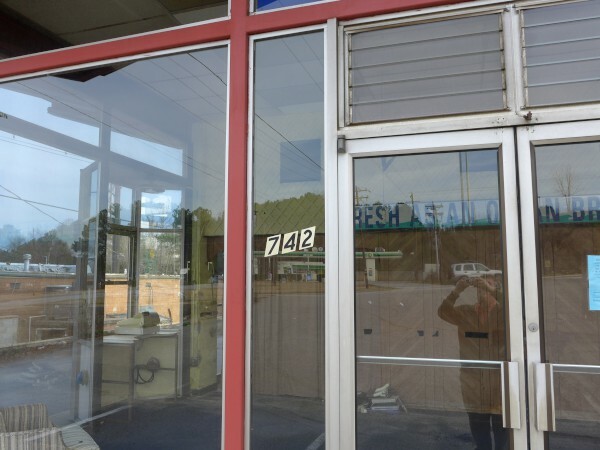 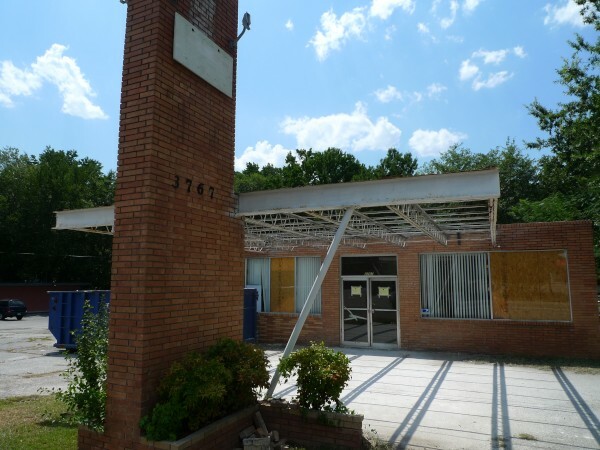 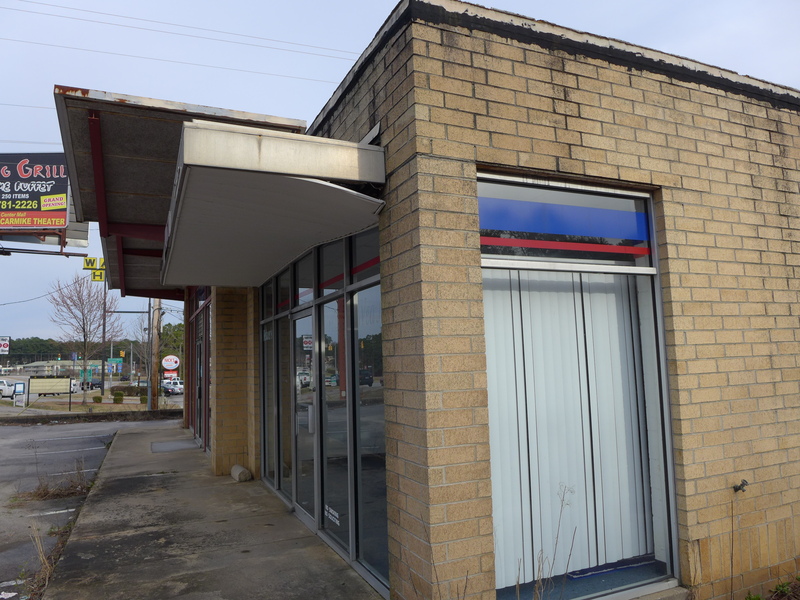 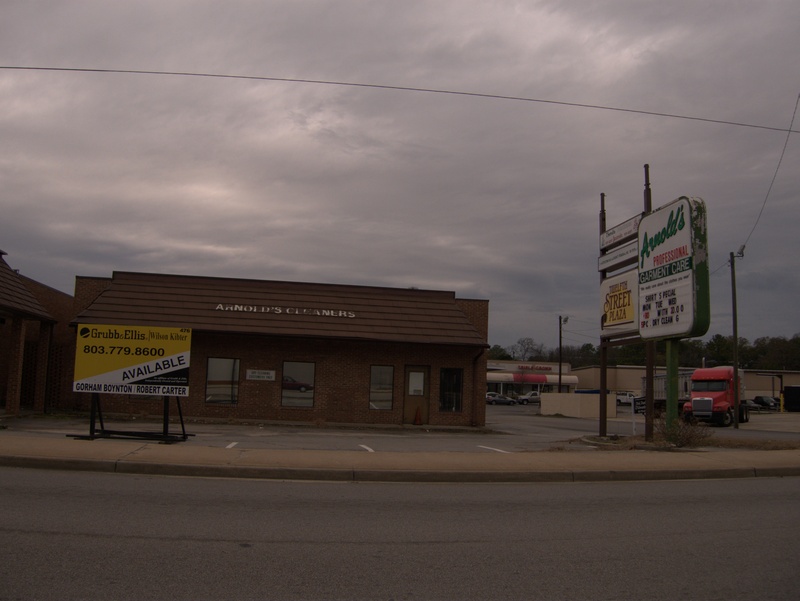 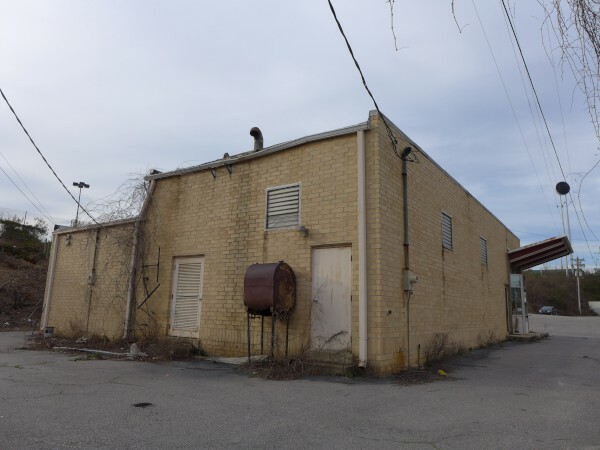 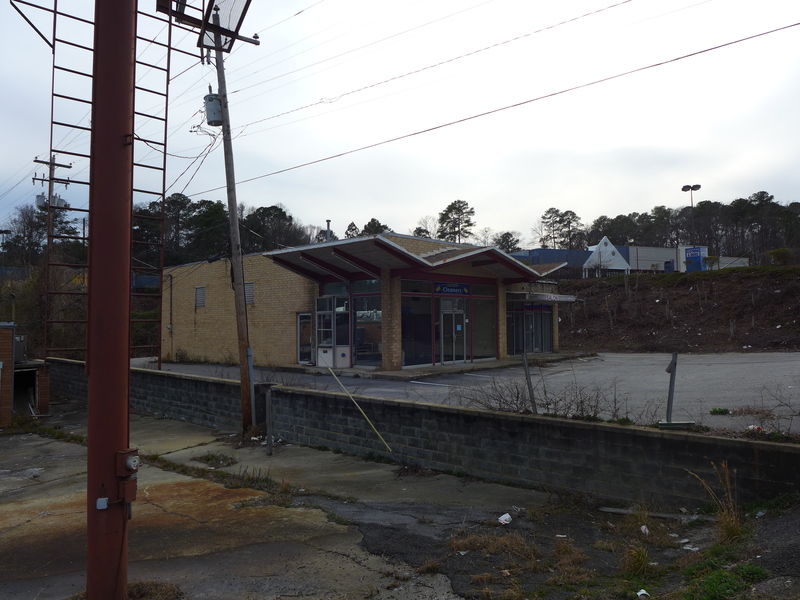 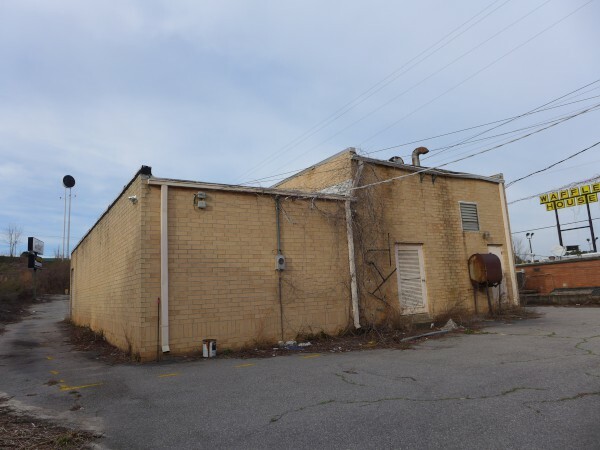 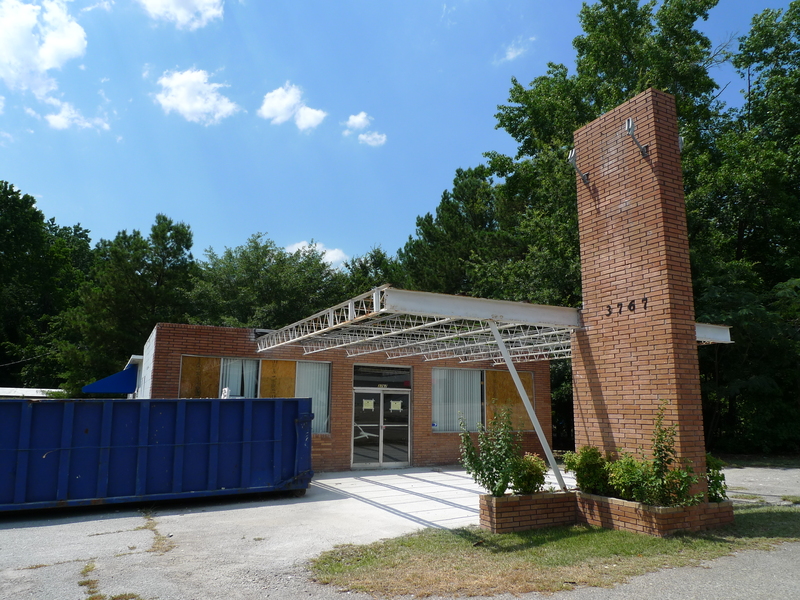 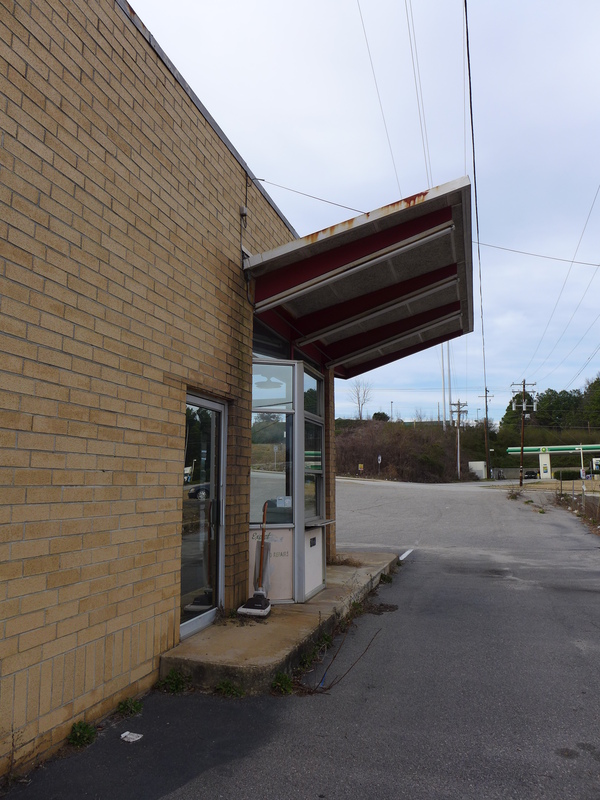 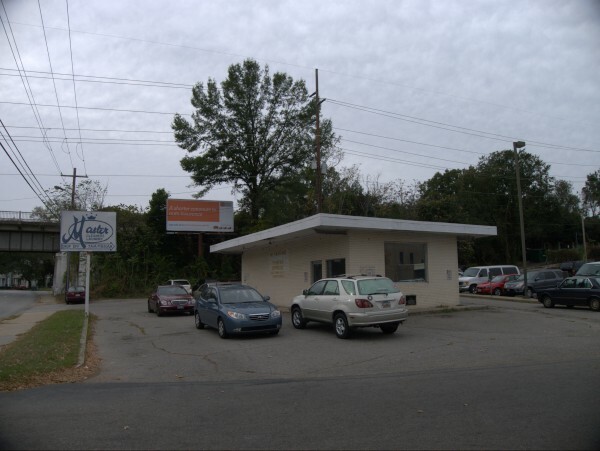 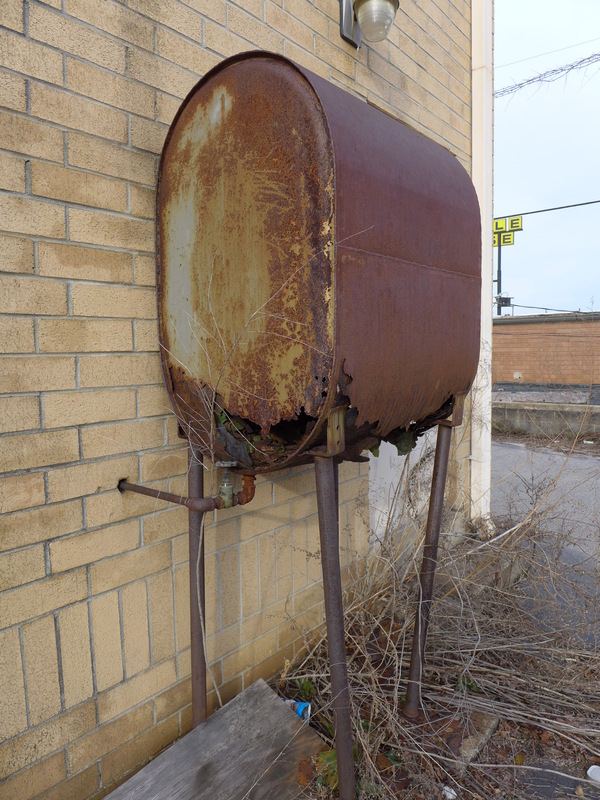 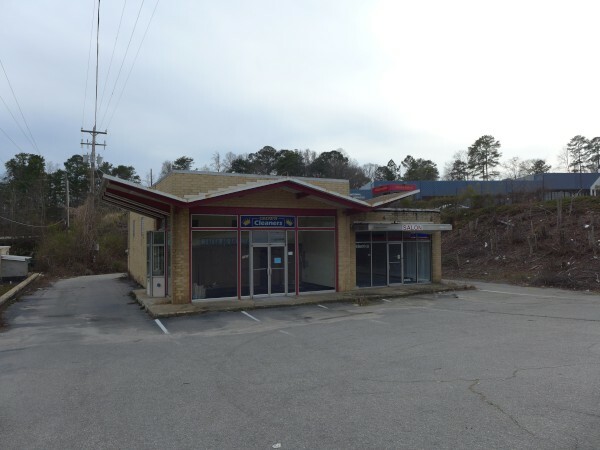 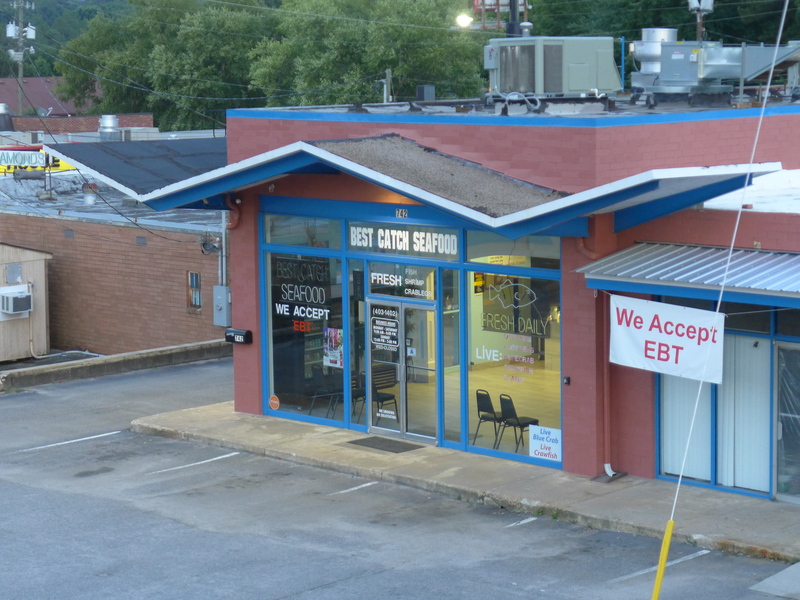 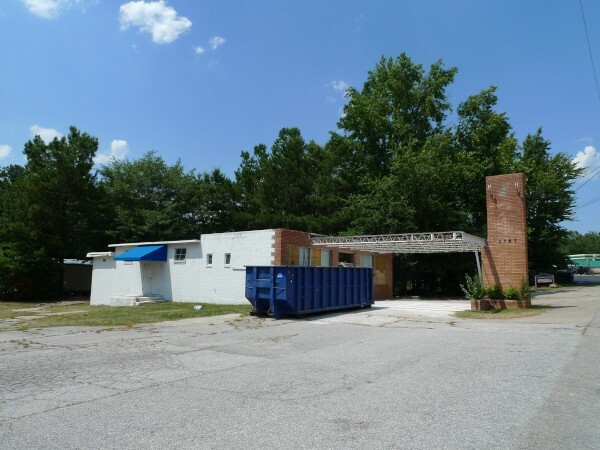 What I am sure of is that there have been many other businesses in this striking little building on Covenant Road just across from the former Piggly Wiggly and just down from Trenholm Park over the years, going back at least into the 60s. 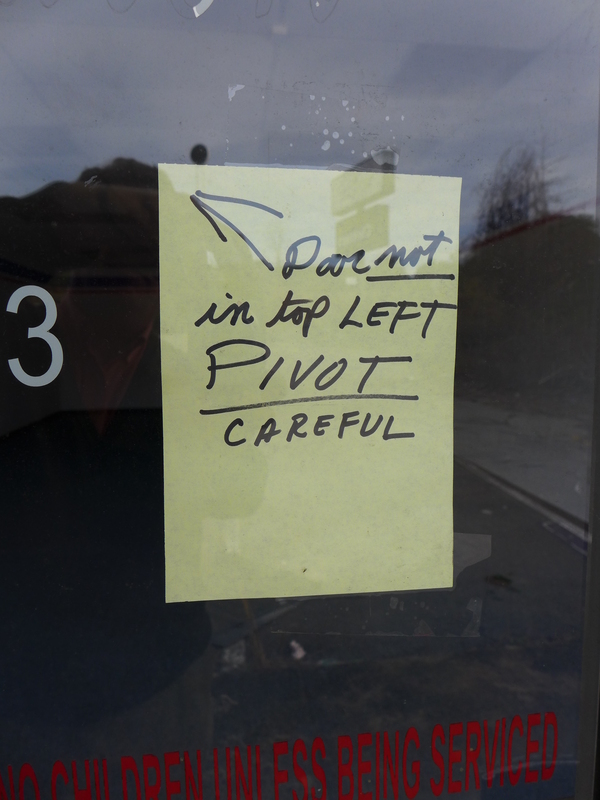 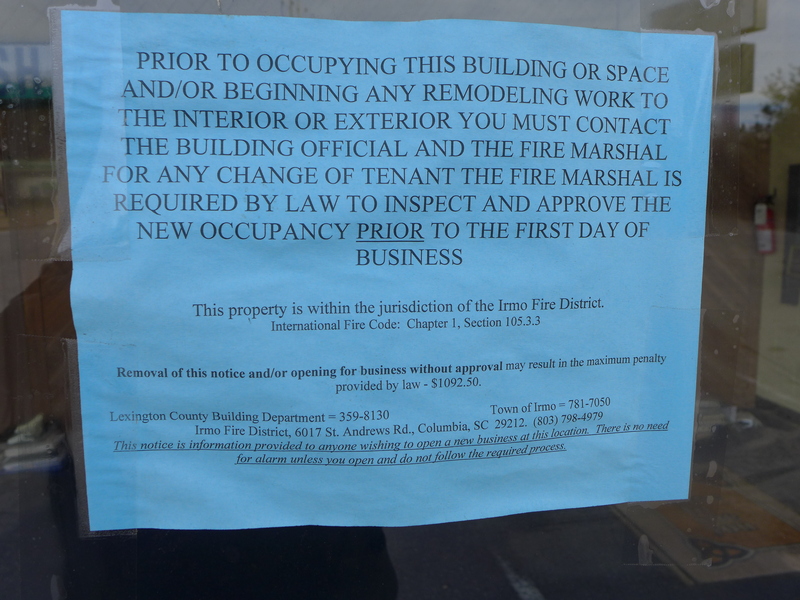 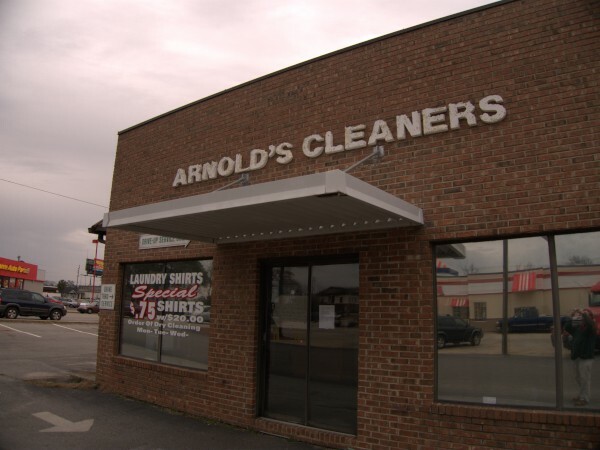 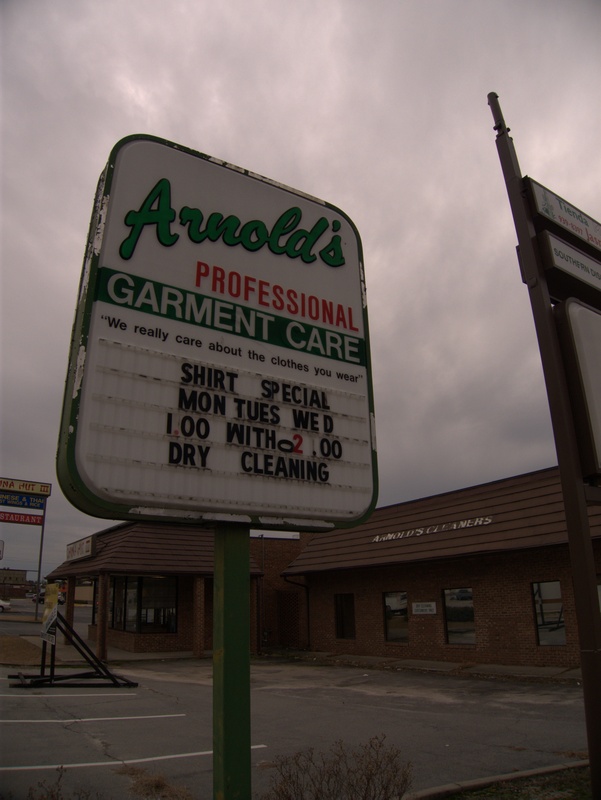 Unfortunately, I can't now recall any of them, though I'm pretty sure it started as a drycleaner's. 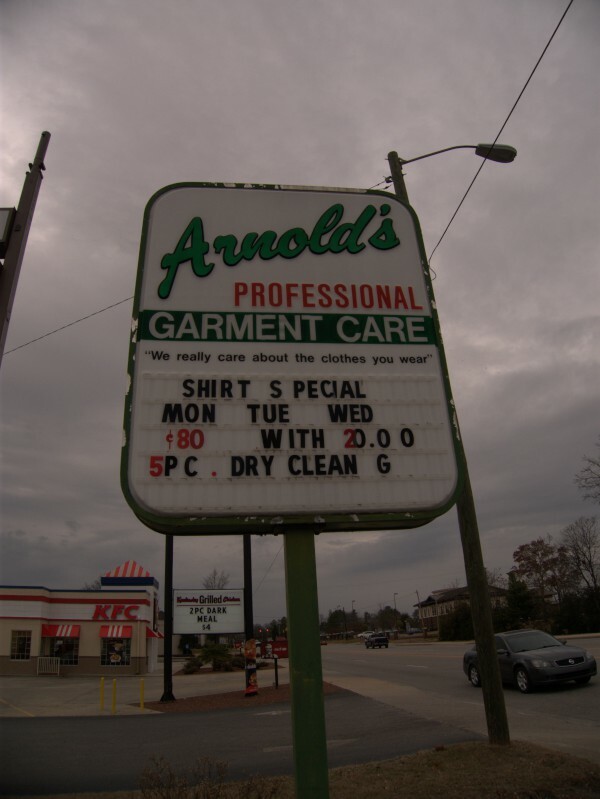 I put 2005 as the date for the last operations there due to this document, which appears to be related to a creditors' take-over of some *other* satellite company. 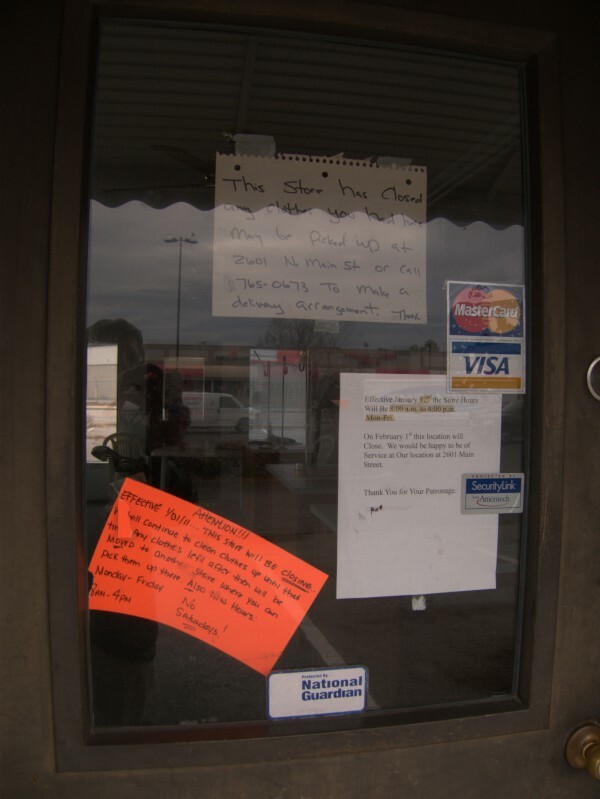 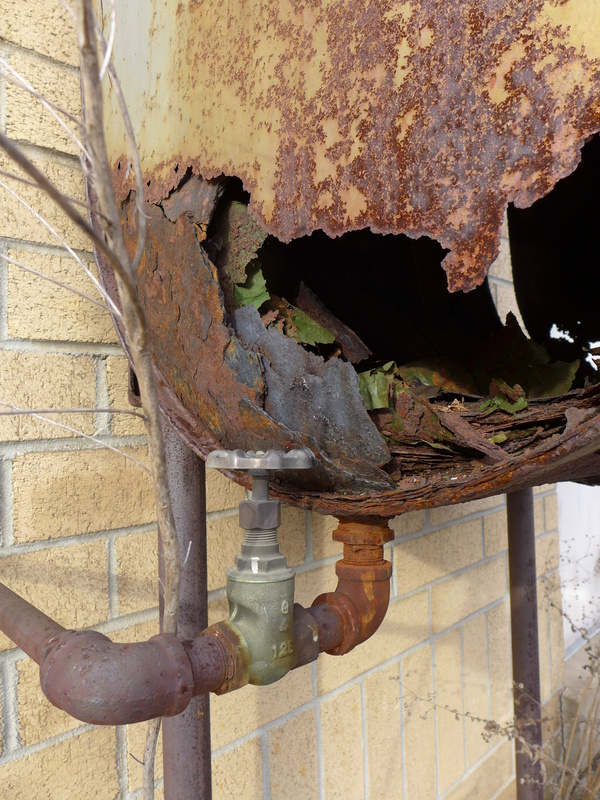 There's not much information in the header part, but I'm thinking since Satellite Connection was apparently one of the creditors, they may have paid money for equipment they did not get, which is not a good situation for a small business to be in. 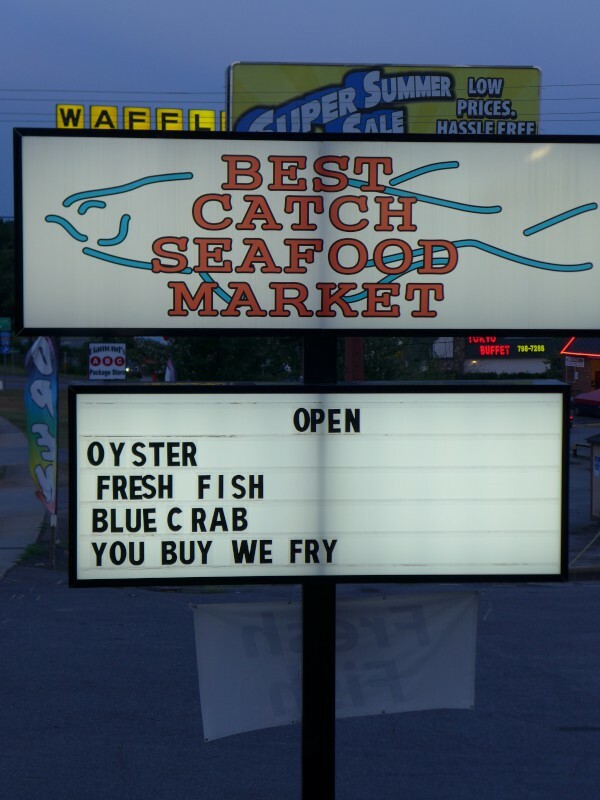 I could be totally wrong. 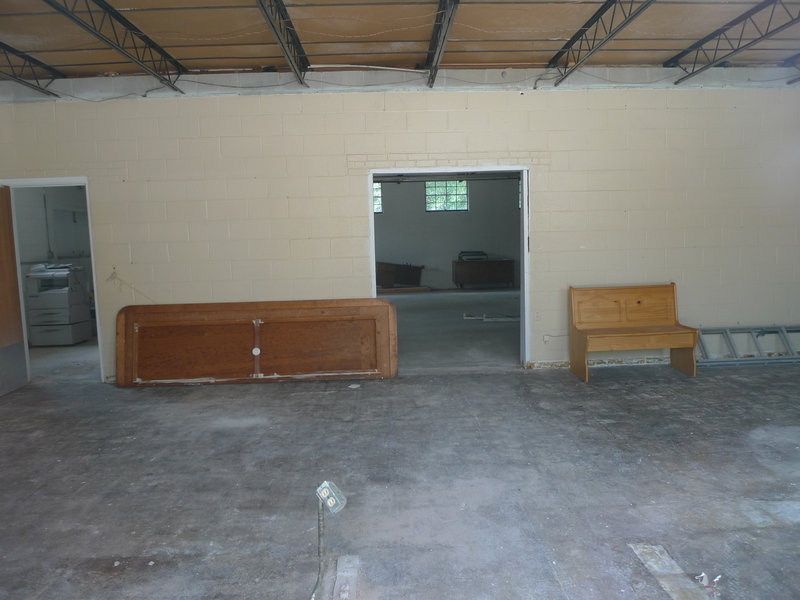 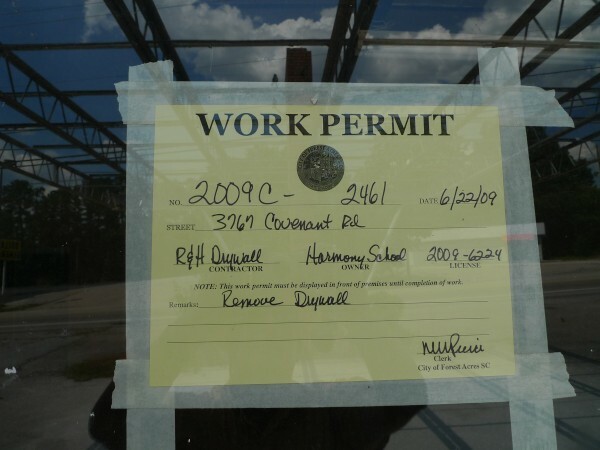 Anyway, according to the construction permit, the building has been taken over by Harmony School which is the small school more or less behind this building. Since these pictures were taken, they have implemented the "Parliment" option and have torn the roof off that sucker. 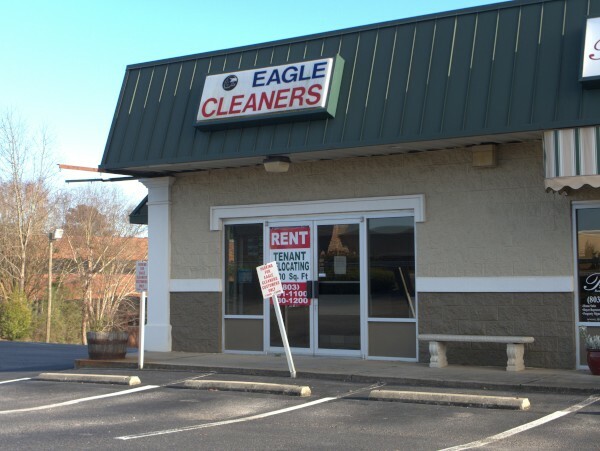 UPDATE 22 July 2009: Added Sunshine Cleaners to the post title in response to indetifications from the comments. UPDATE 15 Jan 2011: Correction -- it was never a Sunshine but it was Custom Cleaners & Laundry (at least from 1970 - 1976 according to the city directories) and was a Brinson Laundry & Cleaners from 1977-1984. I don't have dates for the other operations.